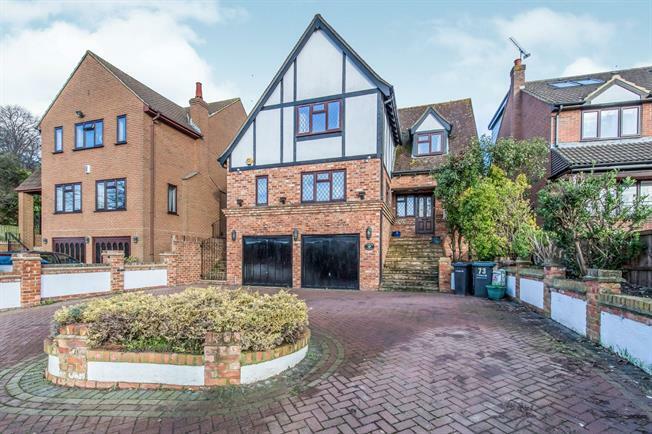 5 Bedroom Detached House For Sale in Gravesend for Guide Price £625,000. Positioned in an elevated position with far reaching views is this large 5 bedroom detached house which has it all! The accommodation comprises entrance hall, W/C, utility, lounge, dining room and open plan kitchen breakfast with access to the garden. To the first floor there are 5 double bedrooms, master with en suite and family bathroom. There is a double garage, in and out driveway and no onward chain! Call now to view!